Hentervene has a Gold Bellamy Award and is set in an Area of Outstanding Natural Beauty, with Crackington Beach just two miles down the road. We are a small family friendly park, ideal for couples and families. All our lodges have central heating and the kitchens are fully integrated with full sized oven, fridge freezer and dishwasher. The living area has an HD TV, DVD player, games console, books and games to keep everyone amused. There is everything you could possibly need for a self catering holiday. Outside, all our lodges have spacious balconies, garden furniture, barbeque and private parking space. We are baby/toddler friendly with equipment available at no extra charge. 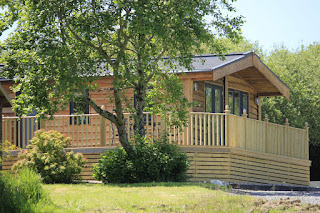 Some of our lodges have private hot tubs and our Walnut Tree Lodge is pet friendly. 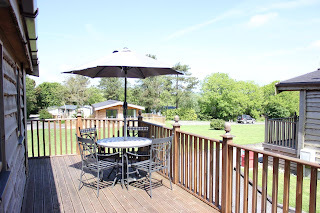 We have a laundry, games room, outside play area, wildflower meadow and woodland walk on site. We have various games equipment that can be borrowed at no extra charge. We are within 2 miles of the Atlantic Highway, offering easy access to many attractions in Cornwall and Devon. We have a bus stop outside the gate and there are lots of lovely walks including the South West Coastal Path.